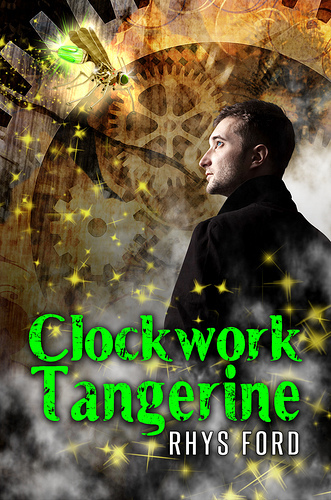 Purchase Clockwork Tangerine at Dreamspinner Press or Amazon . Oh cool, I can’t wait! *grins* It was a fun novella to write. Oh man, hard to build worlds. I love your plot idea…can’t wait for February! Any news on when this will be available in audible? That’s a good question. Let me ping someone. When is book 2 of Ink and Shadows going to be released? I’m hoping soon since it’s been close to a year since book 1’s release date. I just got Ink and Shadow and it is so good /)_(\ I wish there was more books. They are so hard to write. 😀 But I do adore them! I’ve just finished Ink and Shadows. You have a new loyal reader. I am so excited to read your other works, and anxiously await the sequel. I am glad you liked it! Such a fun book to write because of the dark, sticky world but hard! So hard. *hugs* Thank you. I loved Ink & Shadows too, are you writing the sequel? I LOVED listening to Ink & Shadows on the train; Greg has an amazing voice that captures emotion so well. PLEASE write a sequel! Aw, thank you! 😀 I do like the characters!